After their amazing first competition, 12-year-old Harper is loving life in her new group, the DanceStarz. But now, Harper has landed a part in her school musical - and not everyone is as thrilled about it as she is. The DanceStarz are worried Harper will be distracted so close to their next event. The girls have to win - especially as they're facing their arch-rivals, the Belles. Can Harper figure out how to find her balance and shine before she loses it all? 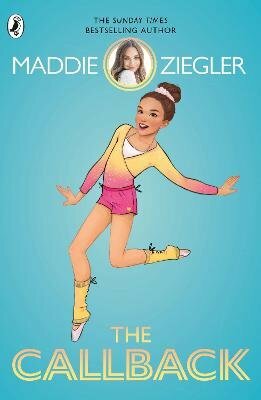 The Callback, written in collaboration with Jula DeVillers, is the glittering sequel to dancer and international superstar Maddie Ziegler's debut novel, The Audition.